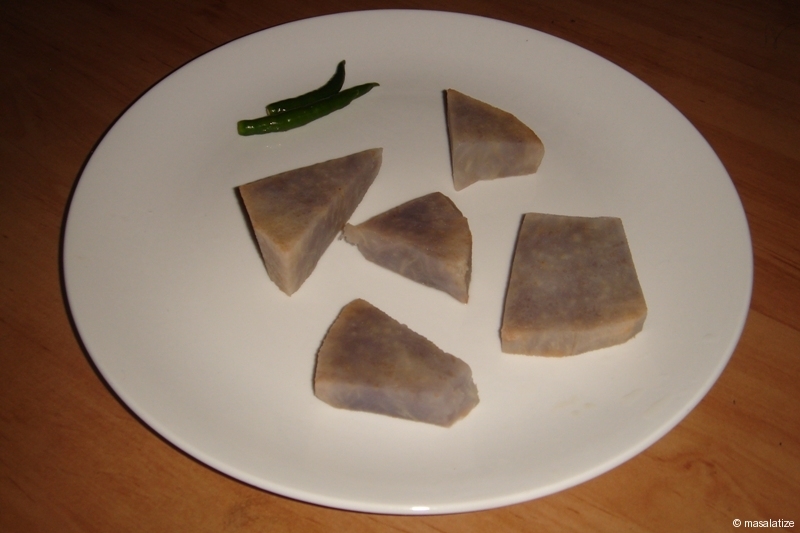 Take kachu then cut into medium size. Boil it in cooker for 2-3 whistlets. 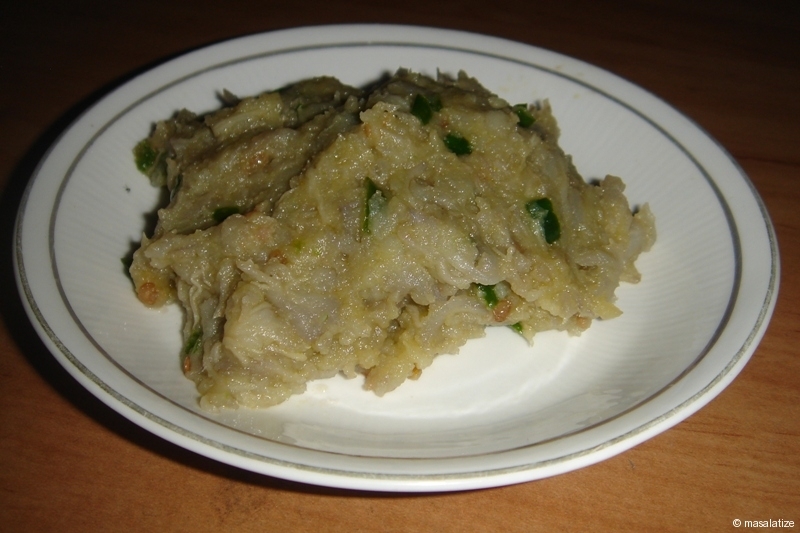 Make a paste of kachu with greenchilly,salt and mustard oil.